A growing number of Internet users resort to using a VPN service for a variety of reasons. Whatever their reasons are, one important key phrase used when Internet users search for a VPN provider is “fast VPN”. In this article, we discuss the importance of server location as an important factor affecting the speed and latency of a VPN service. First, why does anybody need a VPN service? Cybersecurity. The security of Internet communications has become a very important consideration as the Internet community grapples with the menace of hackers or cyber criminals. If you are a member of the United States Democratic National Committee (DNC), for example, you are probably paranoid about the Russians coming out to get you – The Russians are coming, the Russians are coming!. After the claims of the 2016 hacking of the DNC servers by the Russians to help the party’s opponent, Donald Trump, the party and the country as a whole are cognizant of a potential repeat of the hacking by Russians and other state actors. This, along with many other incidences of espionage, identity theft, fraud and other cyber threats, is compelling more Americans to resort to more widespread use of cybersecurity services, including VPN. Bypassing censorship and other restrictions. Some use VPN to bypass restrictions of certain websites or content. If you live in China or are a constant traveler to that country, you are obviously aware of the restriction on content or websites including services we take for granted such as Google and Facebook. With VPN services, 90 million Chinese people have been able to bypass the so called great firewall of china and access sites they are not allowed to access. As of March 31, 2018, China had banned most VPN services to deny people the freedom to access restricted content. But where there is a will there way, many Chinese people still manage to use VPNs to bypass the great firewall. Protecting privacy. Then there are those who use VPN service to protect their privacy on the Internet. A number of battered and sexual assaulted women prefer to share their stories without exposing their identities. The use of VPN is important because even when pseudonyms are used, the cyber savvy can trace the true identity of a user. Even in the era of “Metoo” where more women are emboldened to come out and share their gruesome stories, some continue to prefer anonymity. The merciless backlash from some online and talk show media following the allegations by Dr. Christine Blasey Ford of a sexual assault by Donald Trump’s supreme court nominee, Brett Kavanaugh, explains why some women prefer to remain anonymous and use encryption services to protect their identities. Those who live in dictatorships may elect to conceal their identity with the use of a VPN to freely share political opinions. In Africa, for example, there is a growing class of youth social media activists who use the technology to put pressure on their governments. But in the most ruthless of dictatorships such as Yoweri Museveneni’s Uganda and Paul Biya’s Cameroon, political dissent can lead to incarceration, torture or even worse. The use of VPN services is imperative for some online political activities. Whatever their motivation for using VPN, users always shop for fast VPN services. This is out of the realization that the use of VPN reduces the download/upload speed of Internet access – i.e. the speed with VPN is slower than the speed without VPN. Because the VPN adds an additional hop to your access to the Internet, there will also be additional latency induced by the VPN service. It is therefore imperative that users are aware of the impact of speed and latency on their VPN services – especially for applications that are sensitive to latency. In searching for a fast VPN service, the focus should not only be on the claim by the provider that they offer fast VPN. After all, all providers will claim that their services are fast. 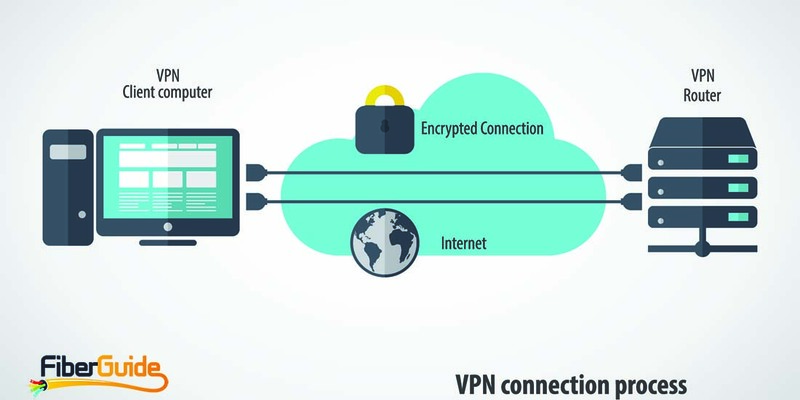 Most of the leading providers such as ExpressVPN, IPVanish, VyprVPN, NordVPN, and others do indeed offer fast VPN with only a modest reduction in speed (less than 20%), provided that the server you connect to is close enough to your ISP. The further the VPN server is from your ISP, the lower the download/upload speed and the higher the latency. The table below shows speed test and ping results for the IPVanish VPN service. The tests were conducted by TheBestVPN in Europe on VPN servers in different parts of the world. The Internet speed without a VPN was 100 Mbps. When a VPN was enabled using a local server, speed degradation was only 17%. However, when a server in Hong Kong (9,277 km away) was used, the download speed was degraded by 92%! The best approach to selecting a VPN provider is to look at the leading providers and select one that has servers closest to you. If you travel, then you want to ensure that the provider has servers in cities that you travel to so that you can connect through those servers when you travel. As a case study, FiberGuide is based in Fairfax, Virginia, but some of our executives occasionally travel to Europe and Africa (especially South Africa, Kenya and Egypt). Our choice of VPN providers for our personal devices are IPVanish and ExpressVPN whose combined server locations cover all the cities that we travel to.